Pictured: Search results for “fathers day gift” on Pinterest. Going forward, Google’s competition will not come from traditional search engines. You see, the nature of search is changing. Today’s generation of kids are using the web in ways that are far different from us. On the way to school one morning, my daughter’s sixth grade classmate told me about the Fathers Day gift she made over the weekend: an apron that her dad could wear while grilling. For ideas on what to make her dad, she searched Pinterest. Scanning through images of gift ideas, she came across the apron. She read the description, then clicked through to the website. The site listed instructions on how to make the apron. Let’s compare the broad reach of Google to the targeted reach of Pinterest. When you’re trying to find an answer to a question (e.g. “What is a storage area network?”), then indexing the entire web is an advantage. Chances are you’ll find the best answers in the search engine results pages. But what if you’re looking for ideas for Fathers Day gifts? And what if you want to only view images of those gifts? Pinterest provides an advantage, since they only index images “pinned” by their users. Google Image Search, on the other hand, indexes the entire web. My daughter’s friend determined that Pinterest search will give her better results than Google search. Also, the core activity of Pinterest is to browse, and for that activity, Google is not even in the game. My daughter and her friends own smartphones and each of them is an active user of the Pinterest app. They like images related to their interests: celebrities, singers, food items, pets and humor. They value Pinterest for the content it delivers. And while they’re already using the app, it’s easy to perform searches right there. No need to navigate over to a separate search engine. Some of my daughter’s friends are so active on Pinterest that they’ve accumulated several hundred pins. Whether they know it or not, they’re mastering the fine art of content curation: finding interesting things and deciding which ones they should share with their friends. While my daughter’s friend didn’t re-pin the Fathers Day apron, it’s only natural for kids to do this: perform a search on Pinterest, find something you like, then re-pin it to one of your boards. This is a missing element of the Google search experience. When I find something relevant (or interesting) in a Google search, I have no means to “pin” that or share it with someone, other than emailing them the link. My daughter and her friends follow each other on Pinterest (side note: they follow parents as well!). For the most part, “community” on Pinterest is about the people they know. While they do get followed by strangers, most of their re-pinning comes via their friends, or via well-known brands they follow. They’ll also send each other private messages (via Pinterest) to share pins. So not only does Pinterest allow them to find interesting content, it also provides tools to share, connect and bond with one another over shared interests. This “community element” is essential. Pinterest serves a good model of what Google Plus might have been: a way to tie Google search users together, from content that’s created via curation and community. While Google prides itself on being a series of “one and done” experiences (i.e. take users quickly to the right/best search result), maybe there’s value in providing an “always on” experience, like Pinterest. After all, today’s kids seem to be always on Pinterest. And that has implications for the future of search. Google needs to take a greater interest in Pinterest. Social Media Manager has become a rather popular position lately. Whether it’s a dedicated or partial position, the function exists within most organizations. Enterprises, non-profits, small businesses and associations understand the benefits of maintaining social media channels to generate awareness, engage with prospects and interact with customers and partners. Recently, a friend of mine was preparing to interview for a Social Media Manager position. He was looking to transition into that position from a related role and asked me for advice on how to prepare for the interview. Here are ten tips on how to prepare: they’re meant for people who haven’t done the job before. 1) Clean up your social media profiles. Pictured: privacy settings options on Facebook. I can guarantee you that your social media presence will be a key consideration for this position. Your prospective employer will look you up on LinkedIn, Facebook and Twitter (in that order). Congratulations on passing the “sniff test” – you scored an interview. 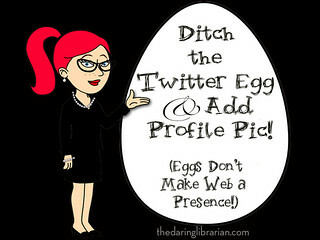 That being said, between now and the interview, clean up and optimize your profiles. Professional-oriented sites like LinkedIn are a given; also be careful to review the “Who can see my stuff?” settings on Facebook and un-tag yourself from photos that you wouldn’t want your mom to see. Every organization has a “brand,” which means that every organization has a brand voice. In other words, do some research on your potential employer. Check their website for a listing of their mission statement or core values (example: the core values of Zappos). Understand what’s important to the organization, along with their vision for the future. Then, subtly reference some of the information you learned during your interview. When you get the job, you’ll need to tweet, post and pin with the brand voice. 3) Practice being the organization’s Press Secretary. 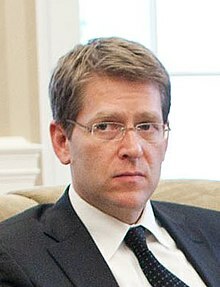 Photo of Jay Carney via Wikipedia. Jay Carney is President Obama’s Press Secretary. Like all presidential press secretaries, Carney has a challenging job. He needs to stand up in front of the White House Press Corps and answer questions. Sometimes he’ll be thrown “softballs,” while other times, he’ll need to address pointed and difficult questions. Carney needs to answer the questions in the “brand voice” of the Oval Office. As a Social Media Manager, your followers on Twitter (for example) are the press corps and you’re the press secretary. So watch a few White House news briefings and see how Carney handles questions. 4) Immerse yourself in the role. 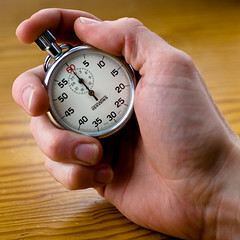 Plan a number of 30-45 sessions during which you observe brands in action (on social media). “Like” some brands on Facebook, both in the target industry and a few outside of that. See how they’re crafting their status updates on Facebook. Then, venture over to Twitter, Pinterest, Tumblr and other social networks and observe how brands are using those channels. Pay particular attention to how those brands engage with their audience. You get bonus points for tracking a single brand across channels and figuring out how they uniquely use each one. 5) Be prepared to define ROI. It’s great that you’re proficient at tweeting, posting and tagging. It’s even better when you can do it in the brand’s voice. Some organizations will want you to take it to the next step and measure the Return on Investment (ROI) of social media. So do some research on ROI models (for social media) and be prepared to talk through some of them. Then, turn the question around and ask about the organization’s goals with social media. Suggest particular social media metrics that can be assembled to tie back to those goals. 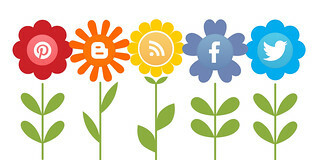 The key point: the definition of social media ROI should be unique to each organization. 6) Do research on social media advertising. Pictured: some of the targeting options available in Twitter’s Promoted Tweets. There are lots of options for spending money to augment your reach on social media: Promoted Tweets, Boosted Posts (Facebook), Sponsored Updates (LinkedIn), etc. Do some research on how these work: how are they priced, what are the benefits, how can you measure, etc. If your prospective employer is not yet using these tools, you can score bonus points by planting the seed (with your knowledge). 7) Consider celebrating your outsider status. Let’s say you’ve never worked in the industry of your prospective employer. Especially for social media marketing positions, employers are starting to look past the “industry experience” pre-requisite. If the topic comes up during the interview, be prepared with a way to celebrate you outsider status. You may bring a new perspective to the organization’s approach to social media and be able to communicate in a fresh, new way (while maintaining the brand voice). While this may only apply to larger organizations, do some research to see if your prospective employer uses agencies in its social media: PR firms, design firms, interactive agencies, etc. A good place to check is the “Press Release” or “News” pages on their website. Having this information in your back pocket keeps you better informed going into the interview. 9) Think up a creative idea or two. 10) Research past campaigns and contests. Take a look at past social media campaigns and contests run by your prospective employer. Understand what they were looking to achieve and how it was received by participants. You’ll have a role in campaigns and contests going forward, so speaking knowledgeably about them during the interview puts you ahead of the pack. It’s important to remember the “larger calling” of your role. It may be neat to tell friends that you get paid to tweet, post and pin, but it’s all in the context of the organization’s goals. The social networks are the tools that you use to help achieve those goals. Portray that message during your interview: your excitement about the opportunity is less around social media and more about leveraging social media to advance the organization’s cause. Whether you’re a corporate brand or a personal brand, it’s important to effectively curate (and share) good content. Effective curation builds influence and authority: share information that enables your audience to learn (and do their job better) and they’ll come back for more. Here’s my six step plan for more effective content curation. 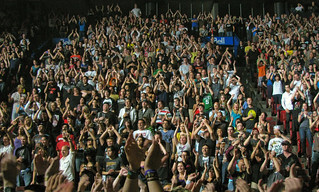 Rather than using analytical tools, I build an understanding of my audience less formally. On social media, a portion of my following includes those whom I followed (and they, in turn, followed me back). This segment I know fairly well, since I followed them in the first place. For others, I develop an understanding based upon interactions: replies to my tweets, comments they add to retweets, etc. In using Twitter over the years, I’ve come to understand that my followers are interested in social media, technology, events and sports. And that’s not surprising, because those are my interests as well! You may be saying “of course I understand myself!” And while I’m sure that’s true, this step is really about defining your brand and what it represents. The understanding of your audience is reciprocal: they’re also developing an understanding of what you represent. Let’s say you’ve been sharing articles on science and technology for the past 12 months and just developed an interest in baking cupcakes. In the past, your tweets were 80% science and technology. Today, it’s 20% science and technology and 70% cupcake recipes. The shift in interest is fine, but understand that many of your followers “found” you because of your science and technology tweets. This means that you’re less influential (to them) on that topic. If that’s not what you wanted, then you’ll need to re-balance your content sharing back towards useful science and technology. If cupcakes are indeed your new thing, then I like chocolate peanut butter varieties. 3) Assess title AND content. Titles: to change or not to change. Occasionally, I’ll share a worthy piece of content for which the title lacks a bit of punch. In my mind, the title doesn’t do the piece justice. So instead of tweeting the article with the supplied title, I’ll share the essence of the article in the tweet. If I’m short on characters, I’ll delete the original title. Doing this results in a higher likelihood of people clicking on the link. Now that we’ve covered the title, it’s critical to actually read the content (or at least skim it). If the content doesn’t match the title, or if the content quality isn’t up to par, then don’t share it. Content that was written solely for SEO (you know what I’m referring to, right?). Blogs that have an imbalance between banner/search ads and content. Slide show content (i.e. want to read our Top 10 list? Click “Next” nine times). Content that’s too short (e.g. 1-2 paragraphs in total). Content that my audience would not value (despite the strong title). On Twitter, list the author’s Twitter handle in the tweet. On Facebook, tag the author – or, tag the Facebook Page of the organization that published the article. Acknowledging the source is a common courtesy, while linking to their profile sends them a little love. Authors will see that you’ve acknowledged them – and in turn, they may follow you, retweet you and share some of your content. 5) Add a splash of commentary. In addition to commentary, feel free to insert relevant hash tags. For instance, if a tweet about event technology doesn’t already contain it, I often add the #eventprofs hash tag. I then change the “RT” to an “MT,” to indicate that it’s a Modified Tweet. 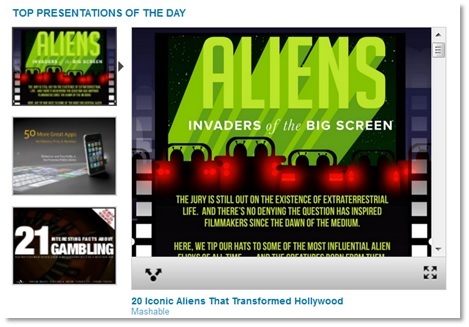 For curated content that you really love, re-share it again later on (but not TOO often). I’d love for my Twitter followers to read the great article I just shared, but the reality is that 90% of them missed my tweet. Pin an image (from the article) to one of your Pinterest boards. Write a blog posting and link to the piece. Think of yourself like a museum curator. Hundreds (or thousands) of people are coming to your exhibit. Select (and show off) the pieces of fine art that you’ve assembled. Leave the lesser pieces behind the curtain.